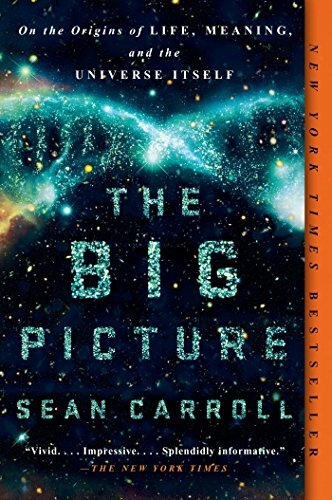 Sean M Carroll is a theoretical physicist and Research Professor of Physics at the California Institute of Technology. 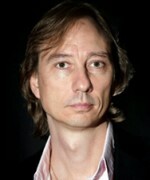 He specializes in quantum mechanics, gravitation, cosmology, statistical mechanics, and foundations of physics. 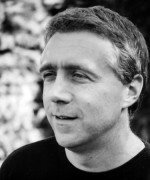 He blogs at Preposterous Universe and you can see his Mindscape podcast—'conversations with the world's most interesting thinkers'—here. 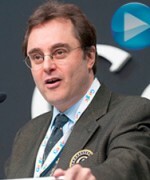 A theoretical cosmologist is someone who thinks about what the universe is, where it came from and what it is made of. In particular, someone who tries to invent and understand mathematical theories about how the universe behaves. For example, you might want to try to explain what happened at the Big Bang. I stumbled into it when I was very young – maybe 10 years old. I loved spending time in our local public library and my favourite section was the science books. I read about the Big Bang, black holes and particle physics, and I thought: That is what I want to do for a living. So here I am. 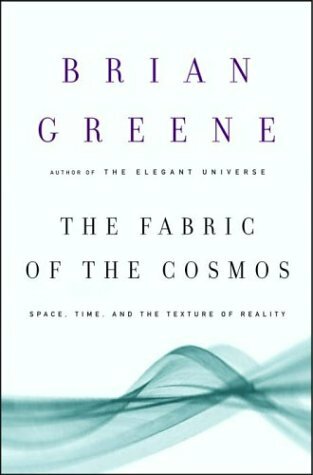 Your first book, The Fabric of the Cosmos, is by Brian Greene, one of the world’s leading physicists. 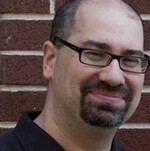 In it, he explores the idea of what reality is. I almost didn’t put this book on my list because Brian certainly doesn’t need the publicity. But I think this is his underappreciated book. 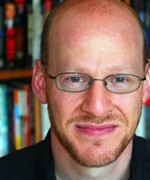 His first book, The Elegant Universe, was specifically about string theory – a particular attempt to reconcile gravity and quantum mechanics. 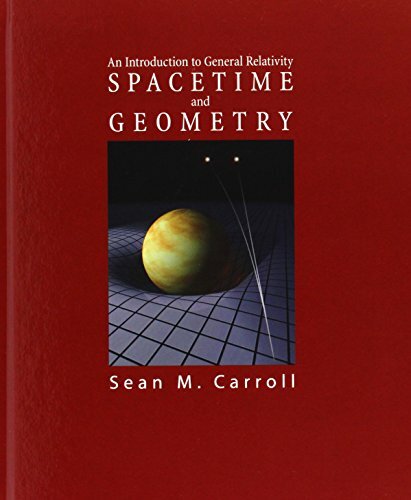 This book takes a step back and looks at foundational issues such as: What is space time? What is quantum mechanics? How do they play well together and what are the problems of having them play together? I like it because it is an extremely well-written book. It covers a lot of deep issues that don’t get attention in a lot of other places, such as the nature of time, the nature of space. It really gives its readers a profound understanding of the universe. This book is less about theories and more about the basics? Yes, he isn’t propounding any specific controversial theories in this book. I think that he takes a very legitimate attitude, because we don’t understand a lot right now. We have ideas, we know certain things about how the universe works and there are other things we don’t know. He takes a tour through the issues. Which of the issues that he explores interests you most? The single issue that interests me the most is the arrow of time – why the past is different from the future. There are various ways that we can observe that. You remember the past, you don’t remember the future. But these differences can’t be found anywhere in the fundamental laws of physics as we know them. Brian’s book puts that issue front of centre, and it was very helpful to me when I was writing my own book on that issue. 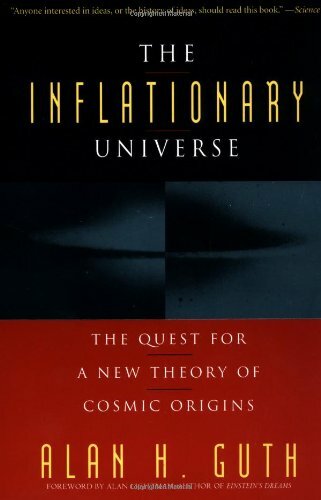 Next up is Alan Guth’s The Inflationary Universe, which attempts to explain some of the unanswered questions behind the Big Bang. Alan Guth is one of the leading theoretical cosmologists today, and I was actually a postdoc at the Massachusetts Institute of Technology where Alan was when he was writing the book, so I was there on the ground floor. He is one of the most meticulous and careful thinkers that we have in cosmology. His great contribution, when he was quite young, was the idea of the inflationary universe – a way that you could take an incredibly tiny smooth patch, as small as you can imagine it being, and it can expand at a tremendous rate, create energy, and grow into something like the Big Bang. Almost every discussion of early universe cosmology today starts from inflation – trying to make inflation work or trying to improve on it with something better. His theory has set the agenda for theoretical cosmology for the last 30 years and here is the man himself explaining it to you. Did you help him with his work if you were there when he was writing the book? We were working together, writing papers, but they weren’t about inflation so I didn’t influence the book. 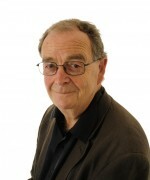 Alan is someone who takes incredible care in trying to make things clear. So even though he discusses some of the deepest issues that we have in early universe cosmology, you are rarely going to find such a careful explanation of what we know and what we don’t. 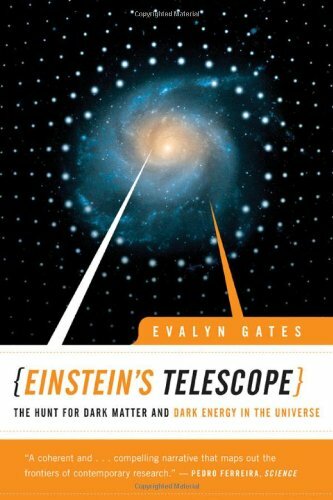 Evalyn Gates’s Einstein’s Telescope: The Hunt for Dark Matter and Dark Energy in the Universe is another book which explores how the universe was made. That’s right, so after two more theoretical books I thought it would be a good idea to have a more down-to-earth book that really looks at how we know all of these wonderful things about the universe. All of the books I chose are fairly recent. There are classic books on cosmology, but the field has changed so much over the past few decades that you really need to read the more recent books. What are the fundamental things that have changed? We know a lot more. We know about dark matter and dark energy. We know about the cosmic microwave background. We have learned about the early universe and how tiny ripples at early times grew into galaxies and stars. These were things we had imagined 30 years ago and now they are things that we can observe. That is why people need to read this book! It is all about the tools that cosmologists have used to be able to do this. 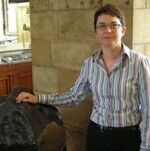 Evalyn is an expert in gravitational lensing, which is the idea that by measuring the deflection of light around a cosmic object we can measure the object’s mass. As light passes by matter and energy, it gets bent. Einstein predicted this a long time ago and now we use it to probe the universe in very precise ways. We can figure out how much matter there is in a galaxy or cluster galaxy by seeing how it deflects the light of galaxies behind it. So we don’t need to count up the stars, we can actually measure all of the matter – and that is how we can find that there is much more matter there than can be counted. So before it was a very primitive way of doing the maths, and now it has been refined? Yes. We have entered the era of precision cosmology. Back in the old days we were lucky if we knew numbers to within the right order of magnitude. Now we know a lot of numbers to within a few percent, which is just amazing. Your next choice is Black Holes and Time Warps, by Kip Thorne. 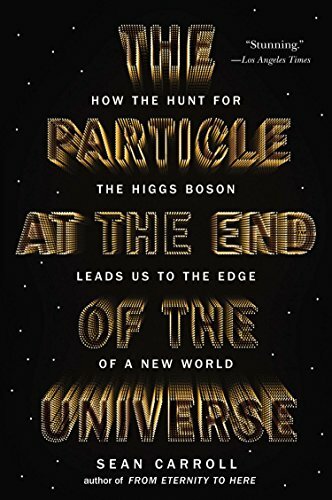 The author is described as taking the reader to the very edge of theoretical physics, in an attempt to describe the leading questions that drive quantum physics. 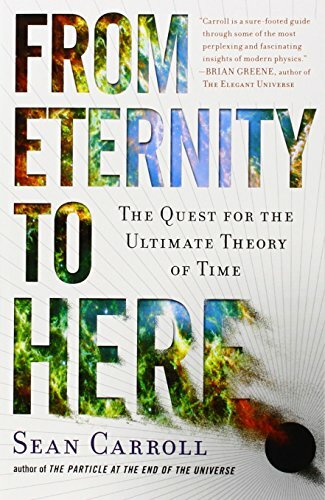 Kip Thorne’s book mostly focuses on space time. It is really the most modern exposition yet at a popular level of Einstein’s theory of relativity. Black holes and wormholes are all explored. Kip Thorne was there when all of this was at its most exciting. One of the many contributions he made to theoretical physics was understanding that wormholes might be able to be turned into time machines. 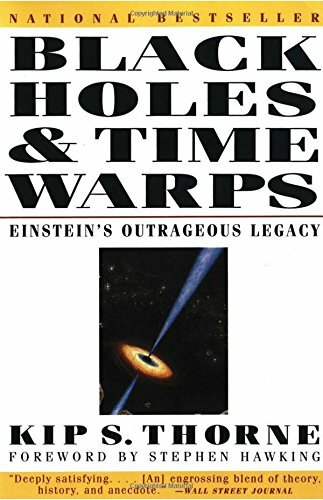 So if you want to know what a wormhole is, and how time machines might work, this is the book for you. How about you? Aside from the business of time, what other issues in this area interest you? Well, we all want the same thing. We want to know the laws of nature. And what we do is we use different clues to guide us. We know that gravity is a natural force. We also know that there are particles and fields in the universe. Some people come from the particles and fields perspective to try to put gravity into that. Others take our success with gravity that Einstein handed down, and try to make it compatible with particles and fields. People like me take the early universe, the Big Bang, and try to use that as a clue to understand the laws by which it is run. 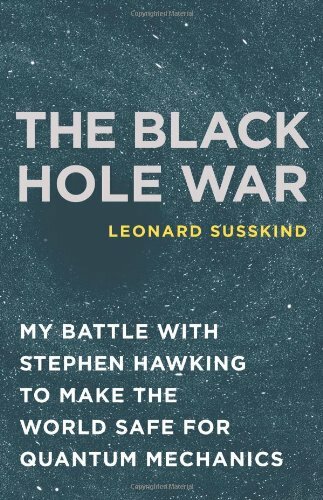 Your final book is Leonard Susskind’s The Black Hole War. This is a very interesting book, because it is a specific issue that he is discussing, which he uses as a springboard to discuss some of the deepest features of the laws of nature. The issue is: When black holes evaporate, as Stephen Hawking predicts that they will, does the information that went into them eventually come out, or is it completely destroyed and lost forever? If you throw an encyclopedia into a black hole, Hawking says if you wait millions of years the black hole eventually evaporates into photons scattered around the universe. Susskind asks if you captured all those photons, could you figure out what was in the encyclopedia that was thrown into the black hole? It sounds like an incredibly narrow and technical question, but it really is at the heart of how physics works. Is information conserved from moment to moment, or is the universe truly random? But surely if the black hole is evaporating, everything in it would evaporate as well? Yes. But what you are asking is whether in principle – obviously not in practice – if you can get everything it evaporated into, would you be able to reconstruct it? People have argued about this for years. The popular view now is yes, you could reconstruct the book that fell in. Hawking, Susskind and others argued about it for years, and eventually Hawking conceded. 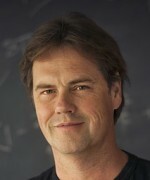 He admitted that what we know about quantum gravity seems to imply that information is not lost. The information contained in the book you threw into the black hole is still contained in the radiation it emits – at least in principle. All your five books are chosen for their accessibility, but do you think for a layperson like me that it is really possible to understand, and get something, from all these different theories? Absolutely. There is no question in my mind that you can do better and better at understanding these ideas by reading books like this. There is a barrier, because the theories that we are talking about are intrinsically mathematical. But these books are not, there are no equations in them. They are translations of the science. It is like reading poetry in translation – you can get an idea of what is going on, even if you don’t have the original essence. These theories are all about trying to understand the universe. But as part of our everyday life, why are they important? It is our universe. We all live in it, and it is a basic feature of what makes us human beings that we are curious about how things work. When we are six years old, we are all little scientists doing experiments and asking questions. Eventually the difficulties of life beat that out of us, but I think it is never too late to recapture that original wondering curiosity we all had.